The Days Inn Russell is conveniently located just off I-70. Our location allows easy access to the area parks, golf course, historical attractions and our unique downtown shopping district. 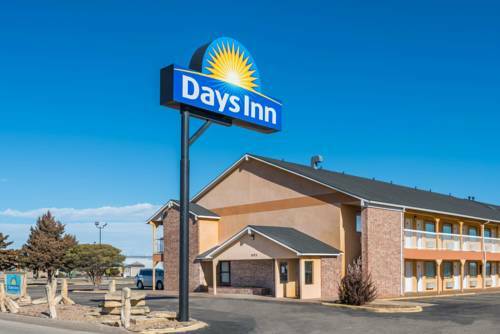 The Days Inn Russell is an ideal selection whether you are attending one of our festivals, participating in a golf or ball tourney, swimming at the water park, visiting the many historical sites, or just relax after a day of driving. The business traveler will find that the Days Inn provides for their needs as well. We offer free high speed wireless internet access and work desk every room, free continental breakfast, 24 hour coffee in the lobby and cable TV with 24 hour news. Whether you are traveling for business or pleasure, the Days Inn Russell looks forward to being your host during your stay. Florence Deeble built a miniature replica of Mount Rushmore in her back yard. Anyone who wants to wander in probably can, but it's more fun to take a tour of the yard and house with the Grassroots Art Center, which is only two blocks away. Second only to The Smithsonian in space artifacts, and it's in a suburban neighborhood in Kansas. See cosmonaut cast-offs, Nazi ballistics, and the capsule from Apollo 13.